Please note that this current website does not have a shopping cart. To buy our Porcupine Quill Mirrors online, please go to our e-commerce website at NaturalExotics.ca. 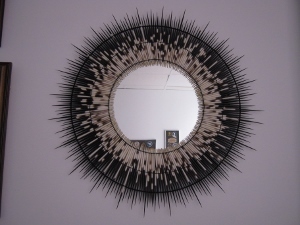 These are mirrors set into handmade frames made of African porcupine quills of varying lengths, creating a unique but simple sunburst design. The porcupine quills used are washed, sterilized, and fumigated according to international standards. 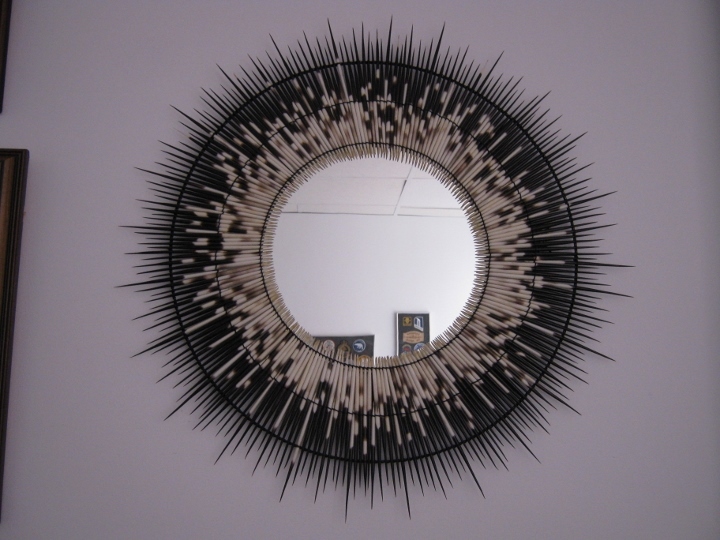 They are threaded by hand on a black epoxy coated, wired, mirror frame. African porcupines are not endangered and are not subject to CITES controls.